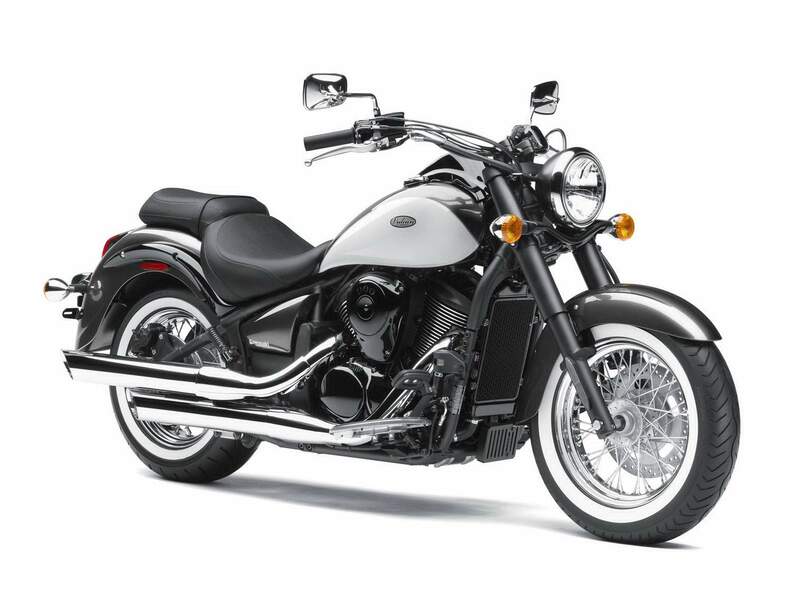 The new Vulcan 900 Classic Special Edition raises the standards for mid-size cruiser class with white walled tyres and custom stripes on the fenders and fuel tank for a long and low appearance. It has the largest engine in its class with the highest power and torque that provides tremendous roll-on acceleration to satisfy seasoned riders. 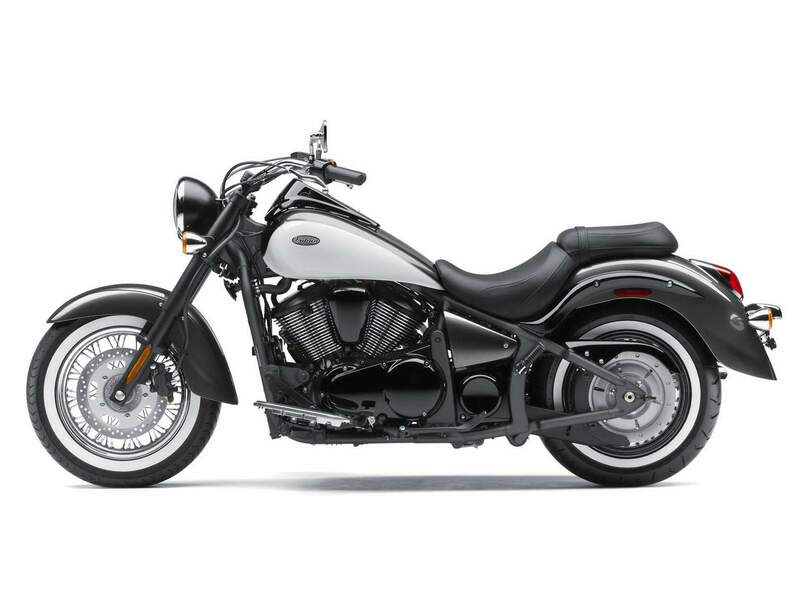 The Vulcan 900 Classic's Special Edition styling is highlighted by a long and low chassis. It will fit in with, and out-perform, many larger cruisers while offering better value and easier maneuverability. Displaying sassy Stateside style, the VN900 Classic Special Edition has the glitz and glamour of white wall tyres plus cool custom graphics. Take to the streets and cruise knowing you have the classiest ride in town. And for those looking for an even more distinctive look, the Vulcan 900 Classic Special Edition Special Edition exudes badass with a new for 2012 blackout treatment on the forks, fender struts, air cover, engine covers and cases and cylinders and valve covers. A beautiful Pearl Meteor Gray / Polar White paint job is enhanced by a checkered flag pinstripe. Completing the Special Edition look are chrome pipes and whitewall tires, for the ultimate in retro flair. Slimline front end - Shrouded forks mated to the wire-spoke wheel enhance the VN900’s Classic classic lines. Slash cut pipes - Despite stringent noise and emissions regulations, Kawasaki engineering can still deliver compact custom slash cut pipes. More from the engine room - Many factory custom cruisers are big on promise and low on delivery. No such compromise with the VN900 Classic. New meets old - Traditional wire-spoke wheel meets a disc brake with modern performance.